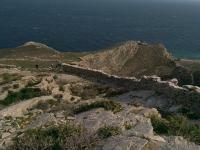 Added 68 photos to album Greece, Jan 2019. 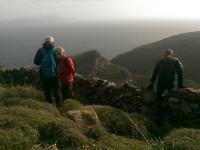 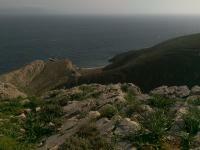 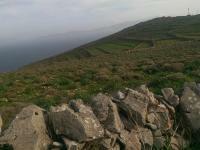 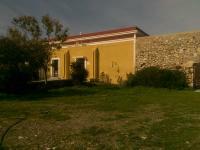 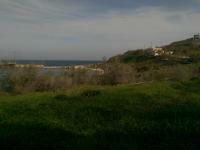 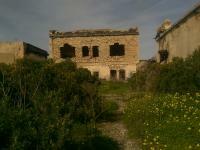 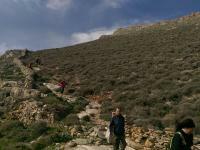 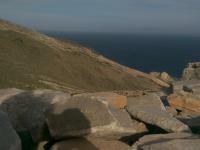 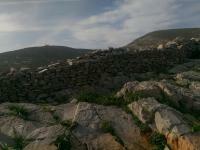 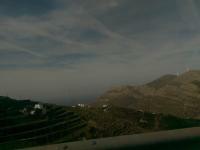 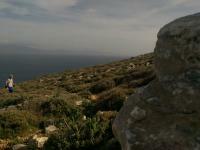 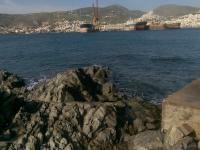 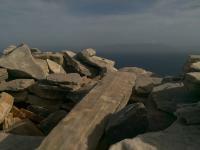 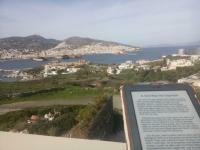 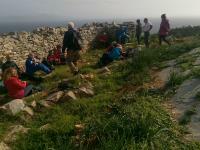 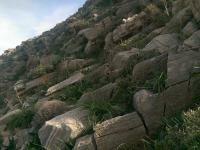 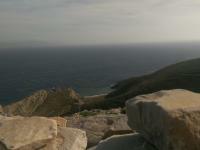 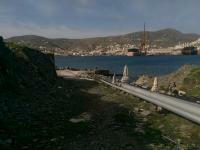 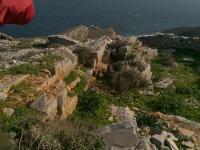 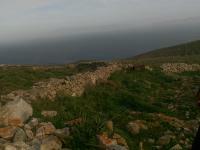 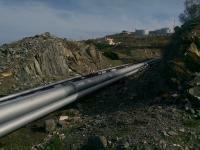 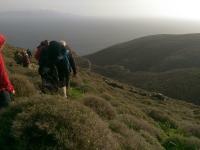 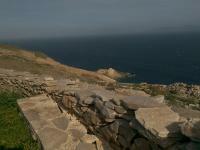 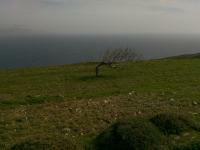 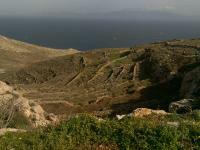 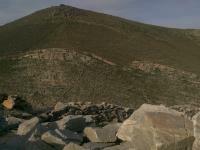 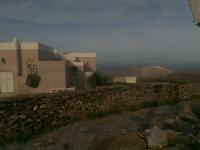 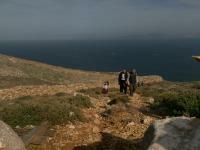 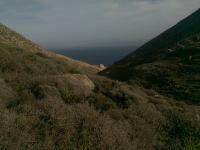 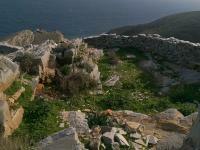 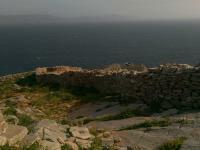 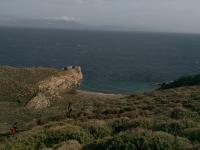 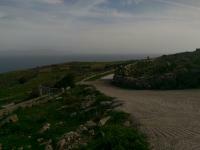 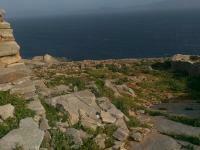 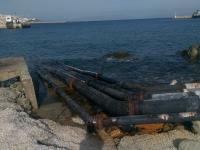 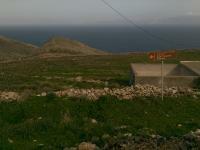 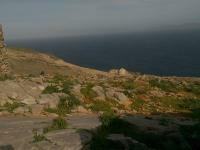 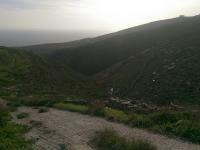 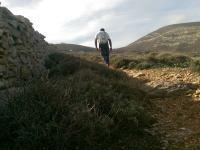 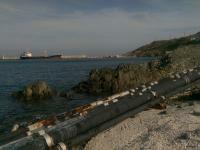 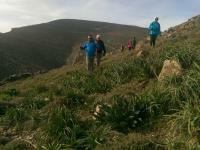 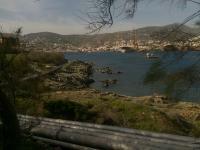 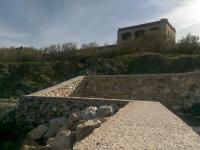 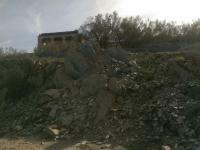 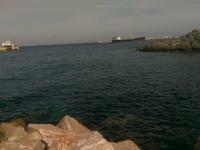 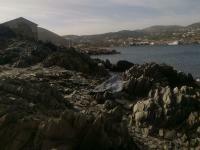 Met the Syros Hiking Team today and went for a walk and a clamber in the north of the island. 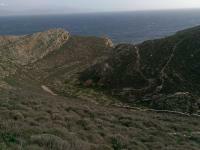 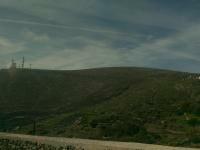 The distance covered was short but the elevation was pretty varied. 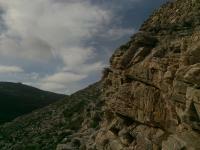 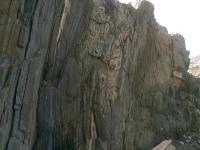 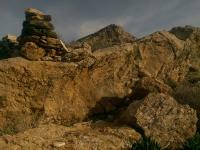 Some vertical rock scrambling up and down to cross the valley. 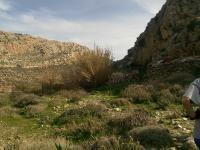 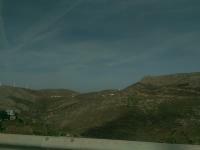 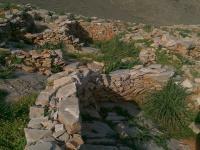 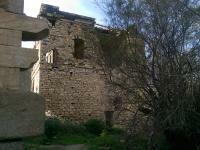 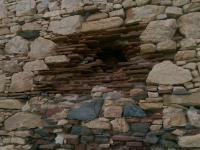 We stopped at the Kastri, a 4,500 year old set of ruins; walls from a bronze age settlement, an ancient castle, and tombs. 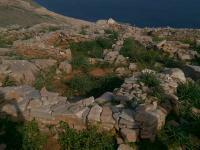 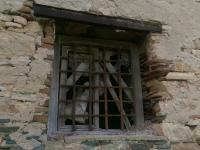 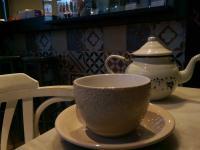 There are artifacts from this area in museums all around the world. 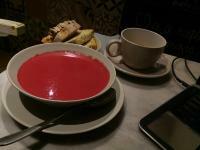 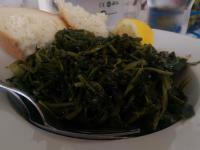 Then we had lunch in a tavern by the marina. 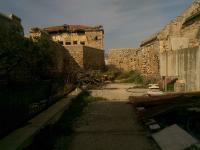 On the way home I stopped by the ruined building at the bottom of the hill in Lazareta; it has been a prison, a quarantine for people with contagious diseases, and an orphanage. 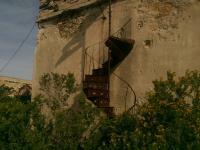 Now it's falling apart and overgrown, except a tiny bit of it is a church.